New gameplay footage and screenshots. 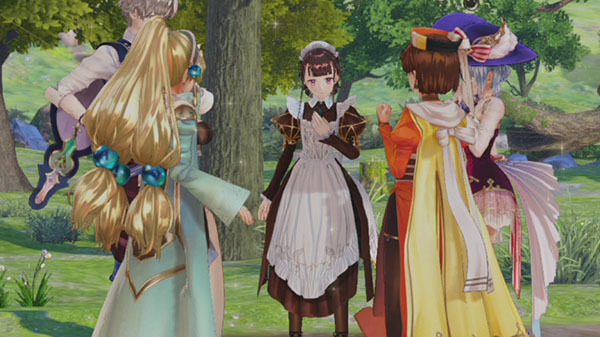 Nelke & the Legendary Alchemists: Ateliers of the New World will launch physically and digitally for PlayStation 4 and Switch, and for PC via Steam on March 26, 2019 in North America and March 29 in Europe, publisher Koei Tecmo announced. In Japan, the town building RPG will launch for PlayStation 4, Switch, and PS Vita on January 31, 2019. A Collector’s Edition will be sold exclusively through NIS America’s online store (North America, Europe), which includes hardcover art book, the game’s official soundtrack, a deluxe cloth poster, and an acrylic standee featuring the main character Nelke, all packaged in a collector’s box featuring artwork of the alchemists that appear in the game. Watch a new set of gameplay videos below. View a new set of screenshots at the gallery.